Located in Jacksonville, Lakeview Health is one of the best alcohol abuse and chemical dependency treatment facility in that county. Lakeview Health founded since 2001 is one of the most reputable treatment facilities set up in Jacksonville Florida. 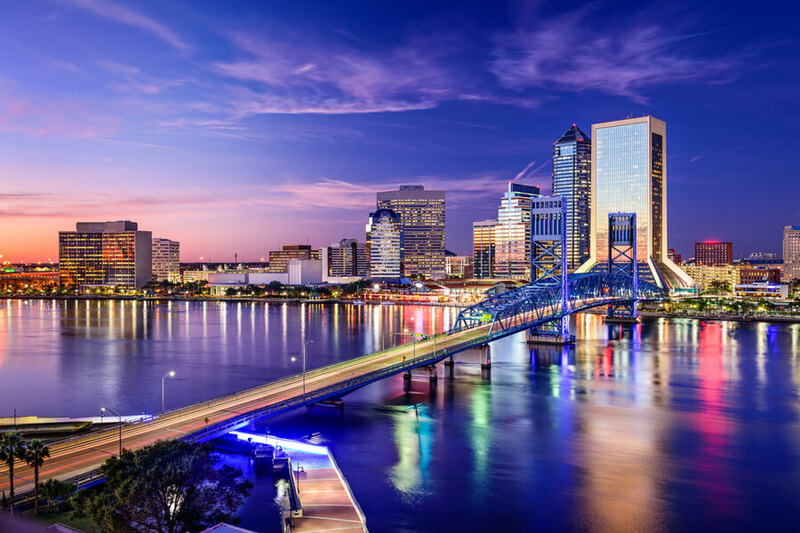 Lakeview Health is a licensed Joint Commission accredited private chemical and alcohol dependency treatment facility that helps the citizens of Jacksonville. Jacksonville is one of the several leading behavioral health facilities and currently, the facility boasts of a newly renovated campus and a mission of helping their patients find their “true North” through treatment exercises that focus more on the mind, body and the spirit. Lakeview Health handles their inpatient program very seriously having a capacity of 132 beds, all built like a semi-private room with twin beds. Common rooms are equipped with televisions and board games which can be used by clients during leisure time. Clients going through the Intensive Outpatient Program and the Partial Hospitalization Program are often separated and kept in an off-campus provided apartments also called villages. At the villages, patients stay in pairs having roommates of the same gender. The apartments there have two bedrooms, a bathroom, a kitchen, a living room with a television. Staffs are on duty 24/7 and the facility provides a transportation system in which clients can get to the main facility or attend nightly 12-step meetings. The main campus does not allow electronics and non-recovery literature. This facility has a general dining hall in which meals and Snacks are served to clients. An on-site chef prepares healthy and delicious delicacies and the food is served at an equal measure. At Lakeview Health, treatment plans last for about six weeks and patients admitted are required to undergo some tests to find out the actual treatment plan or the combination that would best treat the issues. The treatment plans offered at this facility combines psychological, physiological and psychological practices to develop a multidisciplinary and integrative medical model treatment technique which has been government approved and certified to be highly effective. This facility does not allow any electronic device or non-recovery literature because they believe that it tends to slow down the recovery process. Patients at Lakeview Health are offered the best board approved treatment plans and are treated by licensed and highly trained professionals who are on-site 24 hours a day, 7 days a week to monitor and treat the patients easily. The therapy choices given to patients at this facility depends on the results from the psychiatric examination done earlier. The patients are also treated with a list of therapy options which are experimental but proven to be effective in the recovery process of the patients. Due to the fact that Lakeview Health is a mixed gender facility, both genders are separated during therapy sessions which helps to individualize the relapse prevention therapy and doctors appointments easily. With over 20,000 patients treated at this facility since its inception in 2001, Lakeview Health proudly boasts of being one of the best substance abuse and mental illness rehabilitation center in Florida. This facility has proven that their approach towards the treatment of patients suffering from mental illness and substance abuse which focuses on the patient’s body, mind, and soul are very effective and efficient. This facility boasts of a very comfortable and safe environment for their patients to easily recover and get the best treatment services. Lakeview boasts of an accommodation that could take up to 130 patients at a time, a general leisure room equipped with board games and TV, and a well-structured meal menu. Also, patients are treated by experts who are well trained in the field rehabilitation medicine and have years of experience in their practices. This facility boasts of a highly trained and experienced team of professionals working as their staff. The staffs at Lakeview which comprise of therapists, medical directors, counselors, nurses, psychiatrists, and case managers are licensed individuals who have years of experience serving as rehabilitation treatment providers.